If your computer runs slowly during start-up or while running application programs or browsing websites, it is possible to make it run faster even using very simple methods. You can make your computer faster by applying very simple techniques or methods. Here I am going to describe those methods along with their steps to perform it. Follow these methods and feel your computer is running faster then before. If there are lots of temporary files are stored on computer, may slow down your computer. So it may be helpful to increase the speed of your computer, if it has been deleted. Here are the steps to delete temporary files from your computer. At first, go to Run from start menu and type "%temp%" on it and click on OK. Then the following window will appear, delete them by selecting All. The application programs which are placed on startup runs while starting your computer, which may slow down your computer. You can remove unnecessary programs from startup using the steps given below. 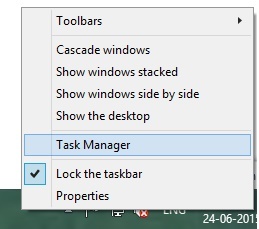 Right click on Task bar and click on task manager as given below. Then Task manager dialog box will appear, click on startup tab where the programs are listed which are placed on startup. Click on the program which you don't want to run on starting and then click on Disable button. Deleting items from recycle bin and removing unnecessary files from desktop also helps to improve the speed of you computer. To make your recycle bin empty, go to recycle bin which is located on desktop and go to Manage tab and click on "Empty recycle bin". You can also make your computer faster by uninstalling unnecessary application programs from your computer. To uninstall programs from your computer, at first go to control panel and click on uninstall program located under programs, select the required program you want to uninstall and click on uninstall as given below. Deleting browsing history and internet cookies also helps to improve the speed of your computer. Here are the steps to delete browsing history from your computer. 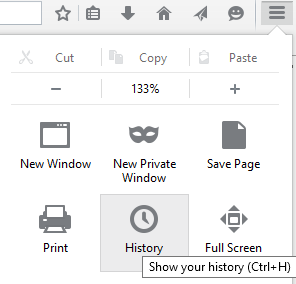 To remove history and cookies from Mozilla firefox, go to menu and click on history button as given below. 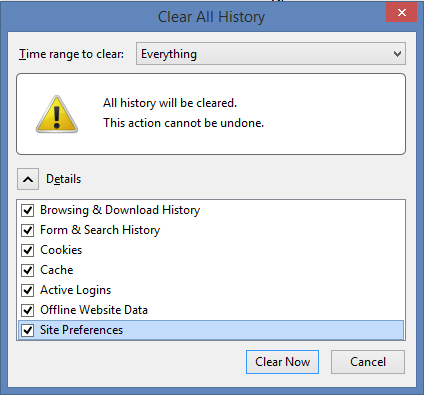 Then clear history dialog box will appear, select everything to clear and click on Clear now button. 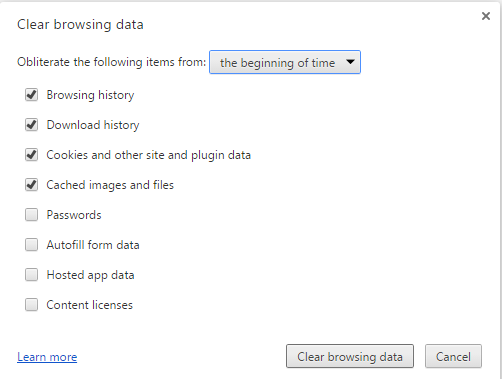 To remove history and cookies from Google chrome, go to menu and click on history button, then the following dialog box will appear "select the beginning of time" and click on clear browsing data as given on image below. How to make USB boot drive to Install Windows ? What are the Basic Components of operating Systems. What is Cyber Crime and What are the types? What is literal and non-literal copying of computer programs?